The Constitution Reform Group has published its Act of Union Bill aimed at rebalancing the constitutional relationship between England, Scotland, Wales and Northern Ireland. Lord Lisvane explains. Over the last twenty years and more, a feature of the governance of the United Kingdom has been the haphazard way that it has been developing. Historians might say that this has always been a feature of constitutional change, but in recent decades the changes have reflected both political crises and bright (and not-so-bright) ideas in an increasingly disconnected way. When I made my maiden speech in the House of Lords in 2015 I noted that The Queen’s Speech contained six proposed measures of constitutional significance. But they were not part of any integrated programme, nor did they demonstrate a consistent approach. This is not a criticism of any party; all the major parties have adopted this patchwork approach – or have had it thrust upon them by events. 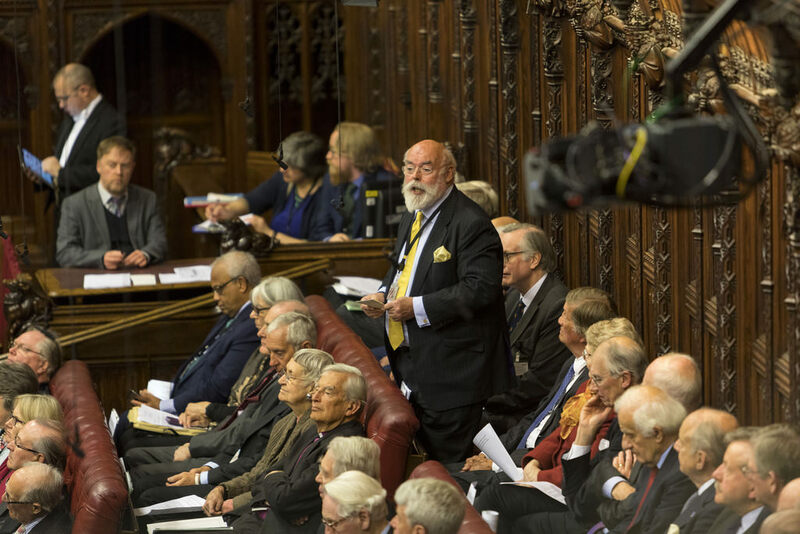 In July 2015 Robert Salisbury (the Marquess of Salisbury, former Leader of the House of Lords) convened the Constitution Reform Group in the wake of a number of significant events, including the Scottish independence referendum, the introduction of “English Votes for English Laws” procedures in the House of Commons, and the extraordinary success of the SNP in the 2015 General Election. These and other developments brought to the forefront of public attention the deep imbalances in the make-up of the Union, and the ways in which we are governed as a United Kingdom. The Group (and its Steering Committee, of which I am a member), contains members of all parties and of none, and its aim is to tackle the problem of piecemeal constitutional change by way of this new Act of Union. Of course, we do not suggest that we have all the answers; but we do think that we show in this Bill that underlying constitutional principles can be articulated in a way that combines clarity and certainty with the flexibility to allow change and development within a stable overall structure. This is not a written constitution – far from it; many of the existing arrangements (for example, the courts) work extremely well. So the focus of the Bill is on the areas of difficulty; primarily, the devolution of powers. The Bill proposes a “bottom-up” rather than a “top-down” arrangement. This replaces what is often seen as a sort of Imperial condescension operated from the centre with a settlement in which the constituent parts of the Union, each with its own internal sovereignty, can choose to pool sovereignty for collective strength and benefit. The Bill does not diminish in any way the present devolved powers; but it does seek to put the public financing of the UK, and the split between central and devolved taxation and expenditure, on a fairer and more transparent basis. Although the Bill is emphatically not a written constitution, it would be an overarching constitutional enactment, expressly contemplating the use of future Acts of Parliament and other instruments to supply lower-level detail, without creating the random disconnection that often seems to be a feature of the current arrangements. The Bill would come into force only if approved by a referendum. The taking of decisions by referendum can raise strong emotions, but I suggest that for constitutional change of this sort popular endorsement is essential, with proper safeguards. And in this case there would have to be a majority in each part of the United Kingdom. In England there would also be a choice between the existing model and an English Parliament, with consequential changes to the House of Lords. Private Members’ Bills in both Houses are fragile vessels, as I have been able to observe over some 45 years, and I am sufficiently realistic not to wait agog for a Second Reading debate. But I hope that this ambitious attempt to deal with some of our present constitutional difficulties (and hazards) will initiate some serious consideration of how we might do things better.